I was reading a locally produced magazine during my lunch break one day and came across an article about a South Carolina mom-prenuer. 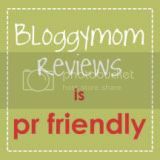 Being in South Carolina myself, I am always looking for other SC moms to feature on BloggyMom. Bees Tees founder, Melissa Patton, came up with the concept of Bees Tees as a way to connect with and teach her young daughter positive character building skills. How? In the morning, as you are dressing your child, you can share the motto for the day...and explain to them what it means. For example, "Bee Fair" means to share your toys and let everyone have a turn. As they wear their Bees Tees, throughout the day, it is a reminder of this life lesson from Mom. Says Melissa, "I was a Mom looking for way to connect with my daughter on a daily basis about the things that matter in life; kindness, honesty, fairness & friendliness. I wanted a way to teach her through thoughtful conversation about positive character traits. Dressing Lena in a Bee-Tee gives me a teachable moment in the morning to explain that beeing kind means showing kindness to everyone and to back her bee through her daily actions. Hopefully others will see her wearing her bee, backing her bee and will catch the buzz for positive character building. ...there is a line of adult themes for us big kids. The adult Bees Tees urge others to bee creative, bee inspired, bee involved, bee active & bee unique. So check out Bee-Tees.com. And spend some moments inspiring yourself and your child to bee the best they can bee!" Melissa was kind enough to send us a sample tee. It is truely adorable! The little Princess, who, at 2 thinks bees and ladybugs are cool anyway, was super excited. As I dressed her for daycare, we were able to have a discussion about what the slogan "Bee Fair" on her shirt meant. I patiently explained to her that "Bee Fair" means to share and take turns with her little friends at school and to be nice to the babies. Being nice to the "babies' is a big one, as she goes to a home daycare and there are three babies there who have just started to crawl. This means that no 2 year old nor any toy in said 2 yr old's hand is safe. My little angel looked up at me with her big brown eyes and said, in the sweetest little voice, "No hit the babies, mama?" "Yes! That's what it means!" Mission completion! Bees Tees are available in sizes 6 months through Ladies 2XL. You can choose between 13 different colors and 16 different bees. Available designs include: Bee Involved, Bee Friendly, Bee Honest, Bee Yourself, Bee Creative, Bee Humble. Each tee features a design on the left shoulder reminding you to "Back Your Bee." To order your Bee-Tess, visit the Bees-Tees website here.